Thank you for your interest in the Timber Creek K-9 mysteries. 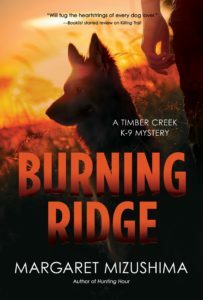 This series is set in the beautiful Colorado Rockies, and it features K-9 Deputy Mattie Cobb, her dog Robo, and veterinarian Cole Walker. Together they solve crimes that affect their peaceful mountain community. 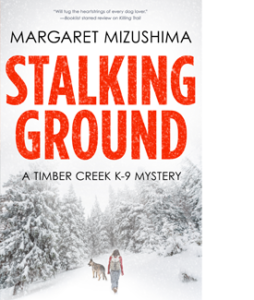 The Timber Creek K-9 books are police procedurals with heart. 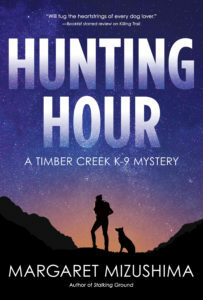 Each adventure contains a combination of K-9 cop action, veterinary work, and family relationships as well as a murder case to investigate and solve. 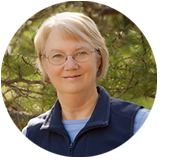 I also strive to provide an element of suspense within the structure of a traditional mystery. 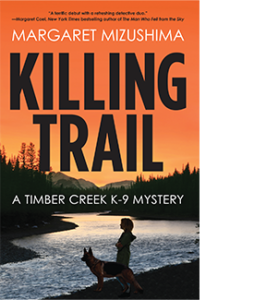 The series begins with Killing Trail; however, the mystery in each episode stands alone, so the books can be read out of sequence if you wish. But if you want to enjoy the full development of the main characters’ lives, I’d recommend that you start with book one. Thank you for visiting, and I hope you enjoy the series!